The sky is not falling. Sunlight is still shining. President Trump signed an order introducing a 30% tariff on imported solar panels. While it’s a boneheaded move in our opinion, and detrimental to the industry, what does it really mean for you as a consumer? The answer is… probably not much. Editorial Note: This article applies only to solar electricity (solar photovoltaic). It does not apply to solar pool heating. And our solar pool heating panels are made in the U.S. anyway – in fact, they are made in Florida. First and foremost, the math goes something like this: the solar modules themselves represent somewhere around 25% of the installed price of a solar energy system. The rest of the cost is mounting equipment, DC-AC conversion equipment (inverters), wiring, engineering and permitting, labor, and contractor overhead and profit. So a 30% tariff only impacts 25% of the price. So if the math holds, the real increase in prices will be pretty small. There will be some rubber-banding of prices with an initial shortage of modules from contractors buying up pre-tariff modules, then a glut of overpriced post-tariff modules. Dealers and distributors will absorb some of the increase. In the end, the impact will be minimal in my estimation. Is a year 4, 15% tariff, causing a 3.75% increase on solar panel prices really going to move the needle? The tariff was requested by two of the last remaining large solar module manufacturers in the U.S. Other domestic players could not compete with cheap imports and either went out of business or moved operations elsewhere. Will this move bring manufacturing back? This might keep a few U.S. manufacturers afloat for a little longer. But is anyone coming back? Are any major players planning on opening up or moving operations to the country? Of course not. A four-year declining tariff is not enough inventive. Not ba a long shot. And how many jobs would really be created? Solar module manufacturing is largely a mechanized/robotic process. But there are some industries in the U.S. that could be impacted. 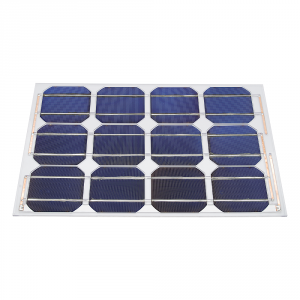 Many of the ancillary items used to install solar panels are manufactured here in the country, especially mounting systems. And there are armies of solar panel installers dutifully bolting down panels on roofs and in utility-scale solar fields. The tariffs would potentially have the greatest impact on these manufacturing and contracting jobs – if they cause the solar industry to collapse. And we don’t believe this will happen. Business is good! Some of the smaller solar panel installers may filter out of the market. The more established dealers that have built their businesses on a sound foundation will continue to flourish. In fact, with some players going away, that means things will get even better for us contractors that are in it for the long haul. Consumers will see right through this. Sure, this may cause some people to think that solar panels are expensive again, reducing the number of people exploring solar energy options. But we have seen time and time again that consumers reject the challenges to solar energy adoption. Could this be a ploy engineered by utility companies to bury solar energy competition? I don’t know of any evidence pointing to that. But at this point, everyone is scratching their heads trying to understand why this tariff, doomed to fail, was introduced. It is plausible that utility lobbyists supported this move. Or maybe this is truly a miscalculation by the President who thinks that solar panel manufacturing might truly expand withing the borders. Admittedly, energy independence is a national security matter. In the event that domestic sources of energy dry up, we could be in a world of trouble. Solar panels reduce our dependence on traditional fuels. If we are unable to produce solar panels quickly, we could be at a both an economic and national security disadvantage. That goes for a lot of products no longer produced in the U.S., but energy is the lifeblood of our economy and security. Is this tariff a way to get manufacturers back to the U.S. to make sure we maintain a solar panel manufacturing presence? That would not be a bad thing, but it is highly unlikely to work for reasons previously mentioned. When it comes to things like this, incentives for U.S. manufacturers seem like a better route than disincentives for our adversaries – especially misguided disincentives that simply hurt related domestic enterprises. The market tends to work things out. When Florida eliminated all state incentive, solar panel prices were plummeting. When the sunsetting of Federal incentives was announced, solar panel prices slid further. As the industry becomes more mature, incentives are not needed. Now we are moving into the era of disincentives. Utility companies in the pockets of state legislatures have led to disincentivized solar panel adoption in those states. Florida recently rejected a utility-backed constitutional amendment that would have created more disincentives toward consumer owned solar panels. But ths industry is still very strong. 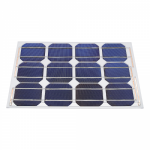 Low prices for solar panels have stabilized. Solar panels themselves are a commodity now. Competition has resulted in razor thin margins for manufacturers, distributors, and contractors (installers). The liklihood of prices increasing or decreasing sharply is pretty small. And solar panels are a long-term investment. Trying to time the solar market is like trying to time the stock market. It’s a losing battle. The best strategy is to buy when you have made the decision that an investment in your own solar energy plant is good for you and your family. Seek out the best value. Look for a true solar pro to guide you. Consumers want solar. Demand is very high. As the public becomes more familiar with the simplicity and efficacy of the technology, demand continues to rise. The industry has seen many ups and downs. Incentives have always skewed the market. Now disincentives are skewing the market. But the market is adaptable. And the industry is mature enough to absorb ups and downs. We don’t see this as a “down.” There is a rising tide of solar panel adoption and extreme interest in battery storage, electric cars, and other related technologies. Don’t let this bump in the road dissuade you from investigating whether solar energy is right for you, right now!